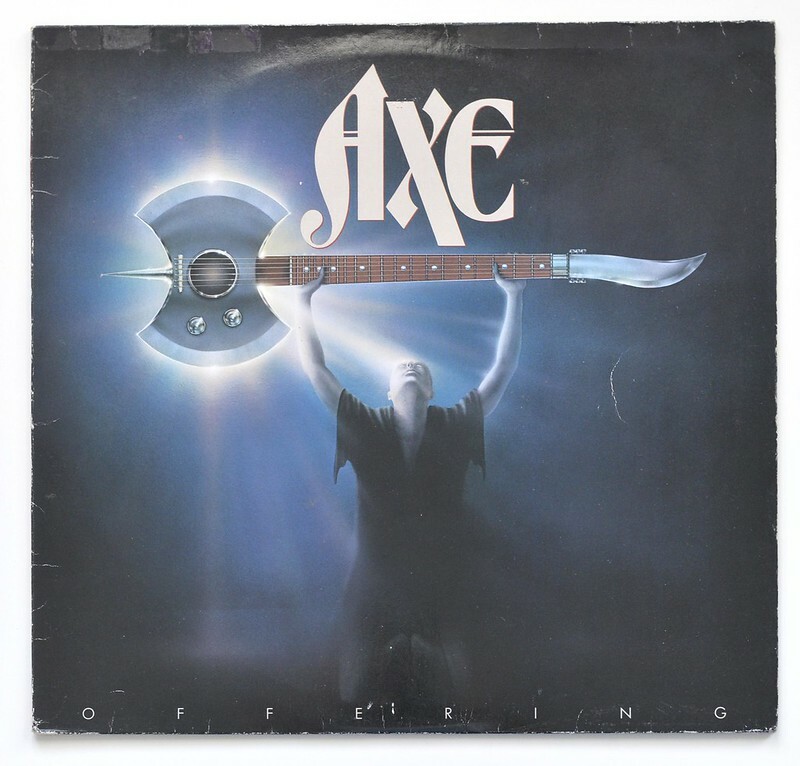 This album "AXE - Offering" is the second album released by the American hard rock band Axe, under the label of Atco Records, in 1982. 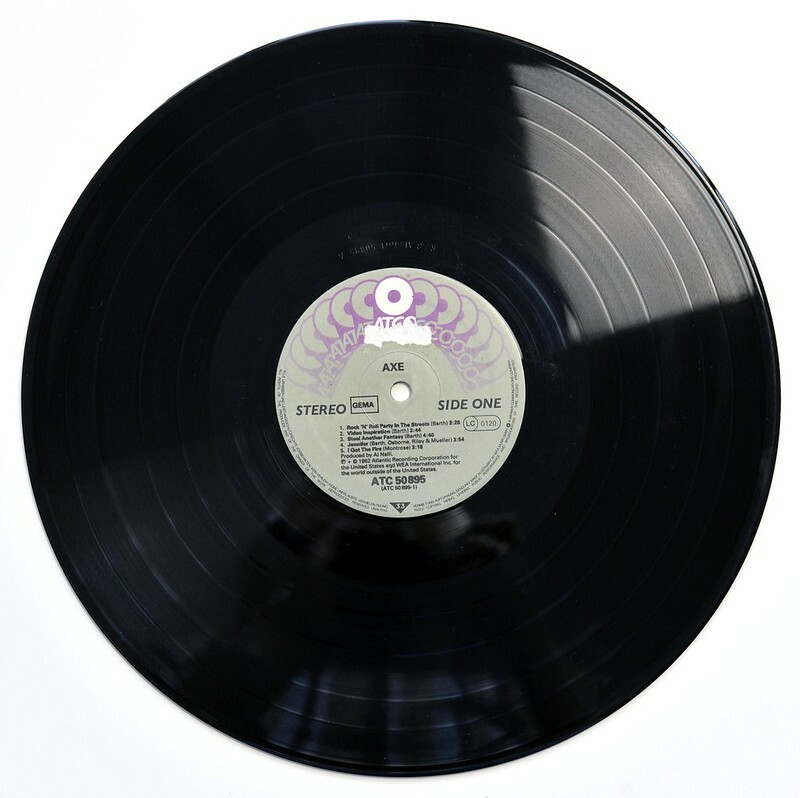 This album "Offering" by the American Hard Rock band "AXE" has been produced by "Al Nalli" and was recorded at "Beejay Recording Studio" Orlando, Florida. 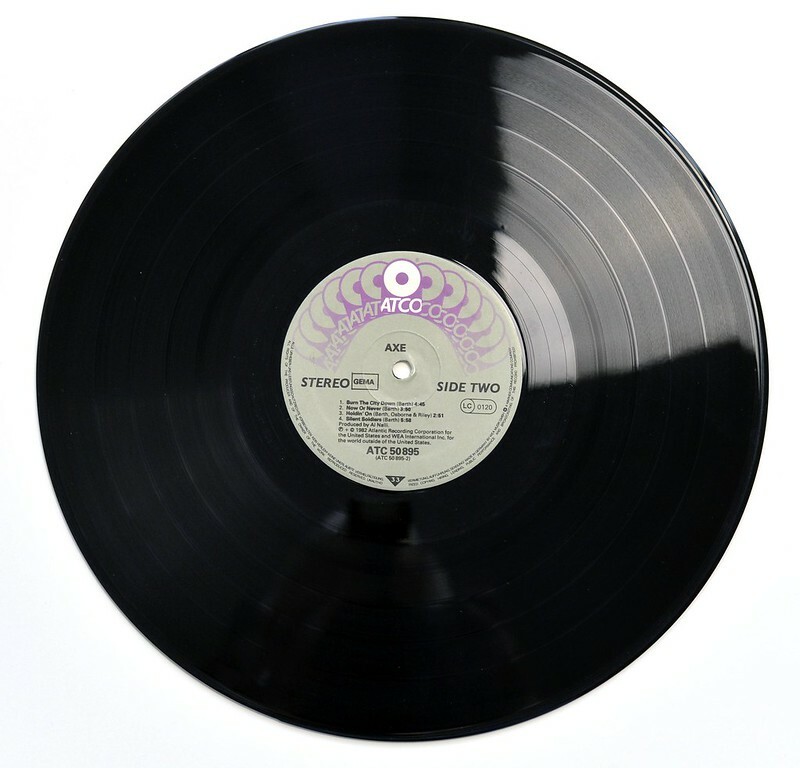 Sound engineering was in the hands of "Andy de Ganahl" and "Bob Ludwig" took care of the mastering. AXE band was previously called "Alien" and comes from ex-members of "Babyface" with "Edgar Riley Jr", "Bobby Miles", "Bobby Barth", "Mike Turpin". In 1979 it was renamed from "Alien" into "AXE" and "Michael Osborne" joined them as second guitarist. Don Brautigam , American Painter and graphic artist , he painted over 3000 book and record cover works in a career that spanned 35 years. During the 1980s he painted the albums covers for Heavy Metal bands like: Anthrax , Axe, Metallica , Motley Crue , Vicious Rumors. Bob Ludwig is an experienced and well-known mastering engineer, he has mastered thousands of music records. He has been vice-president of Sterling Sound, vice-president and chief engineer at Masterdisk and in 1993 owned his own mastering facility Gateway Mastering Studios, Inc at Portland, Maine. 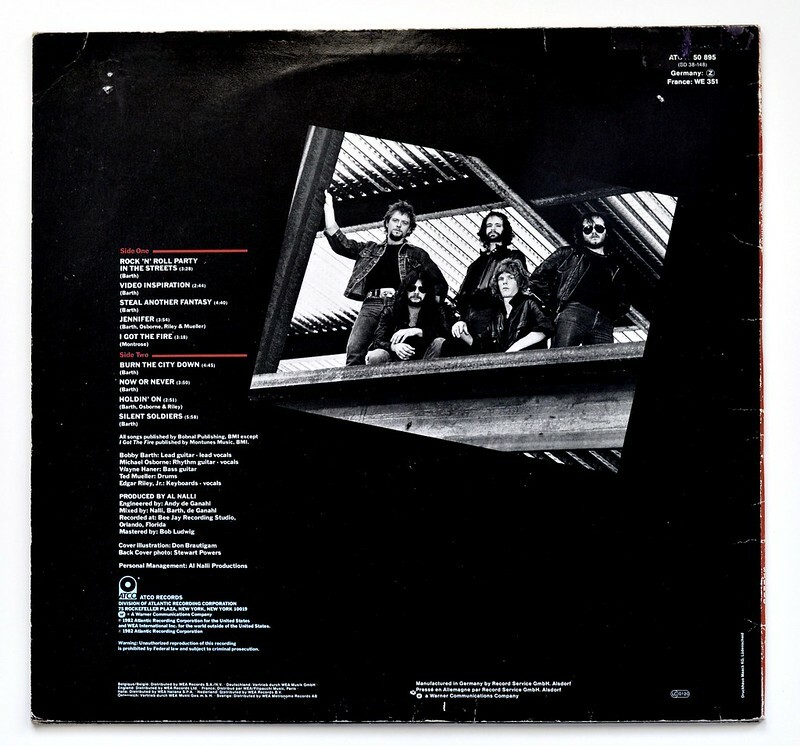 High Resolution and Quality Photos of Complete Album Covers "AXE OFFERING ATCO"
Album Back Cover Photo of "AXE OFFERING ATCO"
Teddy Mueller is an American drummer who started at the age of 14 in a band called Prism (1968). After several band changes he joined Alien/Axe in 1977. Edgar Riley Jr is an American singer and keyboard player who started his musical career in the Rock band "Babyface" and has been singer in Alien and AXE. Actually these three bands are the same group of musicians, but the band was renamed several times. Complete Track-listing of the album "AXE OFFERING ATCO"